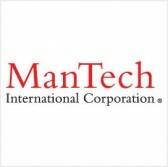 ManTech International has been awarded a potential $47 million bridge contract modification to provide sustainment and operation support services for the U.S. Navy‘s Ship Maintenance and Logistics Information Systems program. The company said Friday the modification was awarded by the Naval Sea Systems Command and contains an option that could extend contract work through July 2017. Daniel Keefe, president and chief operating officer of ManTech’s mission solutions solutions and services group, said the company’s enterprise support to the SMLIS program will help the military branch facilitate ship modernization efforts. ManTech provides national security technology and services to federal customers under nearly 1,000 government contracts.